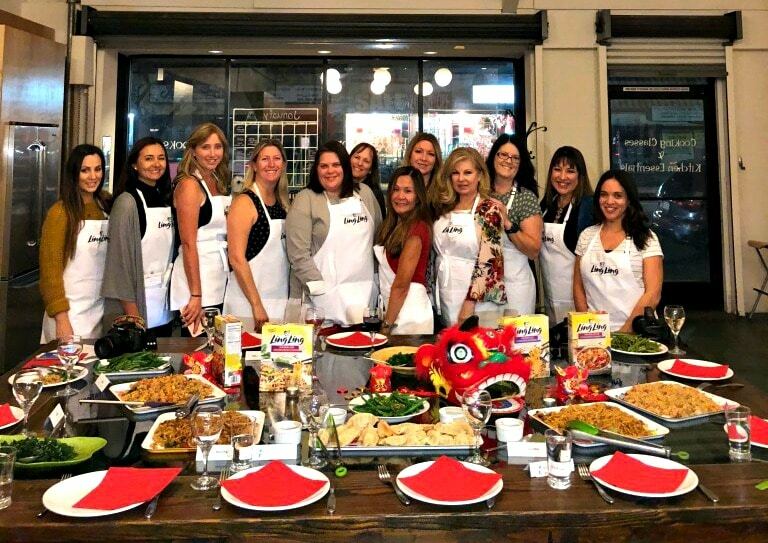 Last week I was fortunate to attend a cooking class at Hipcooks along with other Los Angeles area bloggers to create a Chinese New Year menu, a simple to prepare feast for an at home celebration. 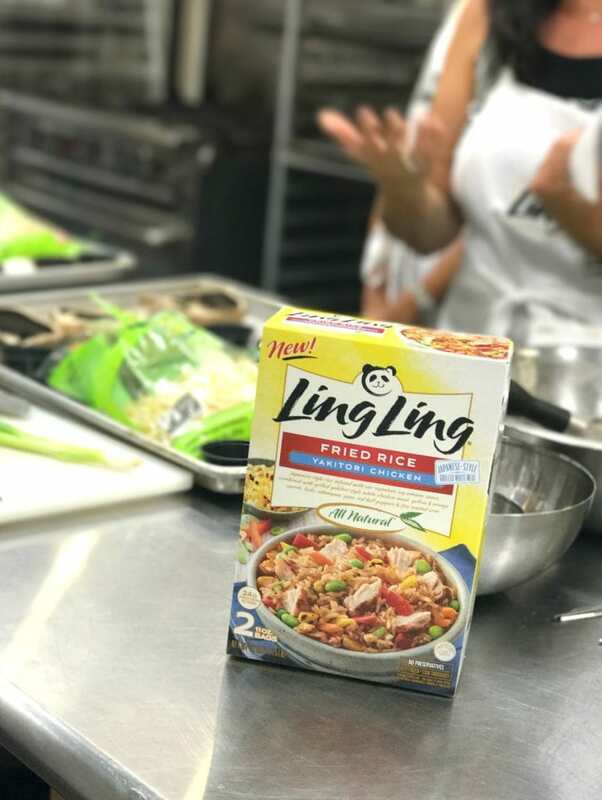 I was excited to partner again with Ling Ling and enjoy a special night of learning and fun with Chef Katie Chin. She is warm, funny and passionate about her cooking. 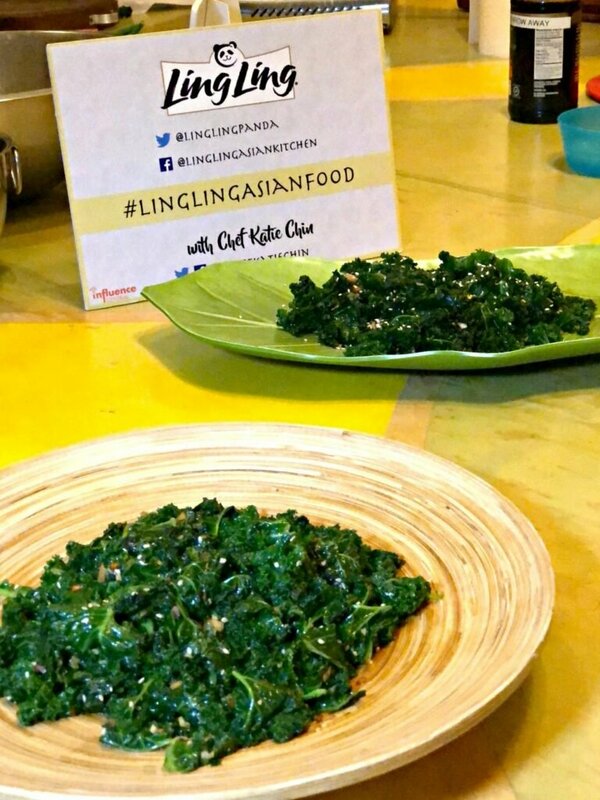 At both events, I came away with some new skills, some new recipes and the confidence to recreate these dishes at home. I love Chef Katie’s story. Her mom, Leeann Chin was her inspiration. She was a well-known restaurateur in Minneapolis who began as a seamstress making fifty cents an hour after she escaped the Cultural Revolution, moved to Hong Kong and then immigrated to the United States as a bride with an arranged marriage. 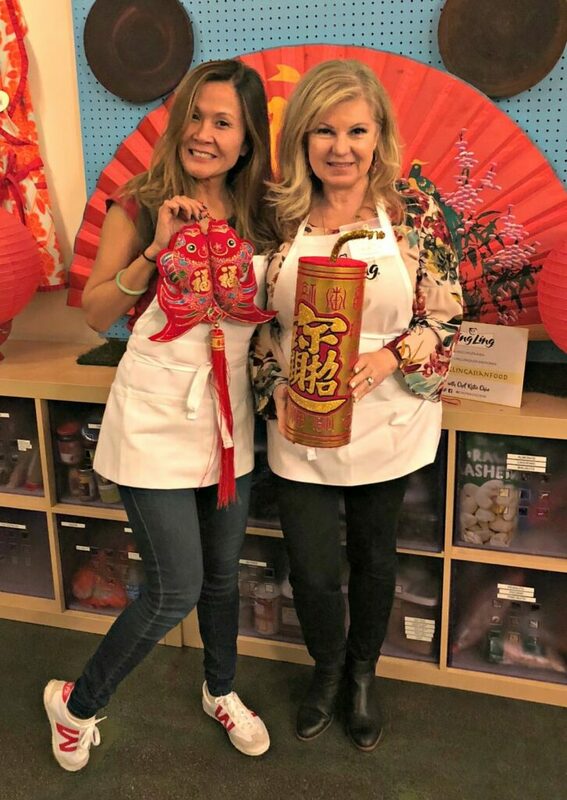 One day she threw a thank-you party for her sewing clients and served them some of her favorite Chinese food. They loved it so much that they encouraged her to start catering and teaching cooking classes. The actor Sean Connery was one of her early backers after tasting her food. Flash forward and she sold her chain of restaurants to General Mills and then ended up buying them back. What a remarkable woman! I encourage you to pick up a copy of Chef Katie’s tribute to her mom; Everyday Chinese Cookbook – 101 Delicious Recipes from My Mother’s Kitchen. It has become one of my favorite cookbooks. 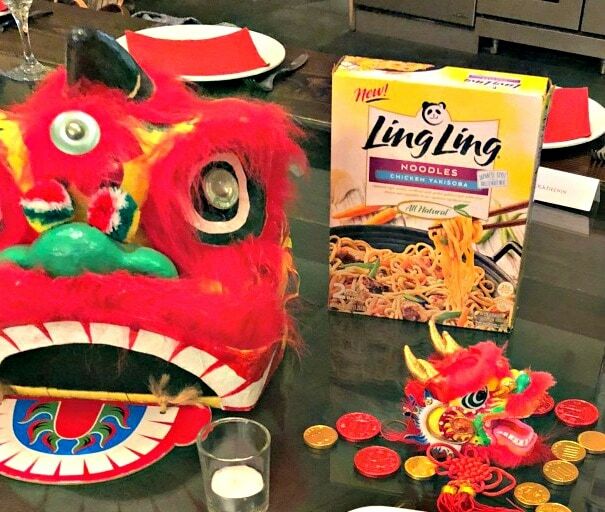 While preparing our Chinese New Year Menu, Chef Katie shared with us some fun traditions and superstitions surrounding the holiday. There is much symbolism attached to each new year in the hope that good luck and fortune will follow. This year, Chinese New Year starts on February 16th and lasts until early March. It will be the year of the dog. Each year is represented by one of 12 zodiac animals that reflect traditional Chinese culture. According to Katie, much cleaning takes place leading up to the new year but no cleaning is allowing during the start of the year to avoid sweeping away your luck. You don’t wash your hair either so plan accordingly! And refrain from using foul language or bad words on New Year’s day or they will follow you throughout the year. Good advice for every day, don’t you agree? There is also symbolism in the gifts that are exchanged. If you greet friends with oranges or tangerines, that will ensure that your friendships remain intact. If the leaves are attached, that symbolizes fertility. Red Envelopes, signifying joy and luck are filled with money and given as gifts to start the year with prosperity. The most well-known and well-loved Ling Ling product are their potstickers. You can find them made with delectable chicken or pork, and tender vegetables expertly combined in a mouthwatering dumpling wrapper. Each comes with Ling Ling signature dipping sauce. According to Katie, these potstickers were proudly served in her mom’s restaurants and that is where their partnership with Ling Ling began. If you have not tried them yet, they are that good. If you keep them in your freezer, you will never be without a tasty dish or a quick snack that you can serve in minutes. If you get unexpected company, these potstickers and dipping sauce are simply perfect. The Ling Ling Fried Rice Yakitori Chicken is my husband’s favorite dish and so it has become my favorite too. All you need to do is add it to a skillet with a bit of oil and it is done to perfection in just 7 minutes. Why order takeout when you can make something so flavorful and delicious in one pan, in just a few minutes? There are five unique fried rice varieties to continue to bring their authentic family recipes from China, Japan, Korea and Thailand for us to enjoy at home. They have a special infusion cooking method where each grain of rice has the flavor of the signature sauces so every bite is delicious. Every variety I’ve tasted has been better than any fried rice I have eaten in a restaurant. It does not have that heavy soggy effect, it is light and fluffy. Their foods are minimally processed and they use high-quality ingredients so you can feel good about serving it to your family. The Ling Ling noodles are the newest addition to the family. There are two traditional Asian varieties to choose from – Drunken Noodles and Yakisoba Noodles. When served during Chinese New Year, noodles should not be cut or broken into pieces. Long noodles represent a long life. The noodles are delicious and are so easy to prepare. Katie taught us how to make two side dishes for our feast. One of my takeaways was to blanch the vegetables. After cooking, simply plunge them into a bowl of ice cubes for just a few minutes. This technique preserves the beautiful color and the texture. It is well worth the extra step. If you have ever served mushy vegetables, now you know the chef’s tip for cooking them perfectly. Instructions: Blanch the beans in boiling water until tender-crisp (about 3 minutes). Using a slotted spoon, transfer to an ice bath to cool. Drain and set aside.Heat the oil in a wok or skillet over medium-high heat. Add the garlic and ginger and stir-fry until fragrant, about 30 seconds. 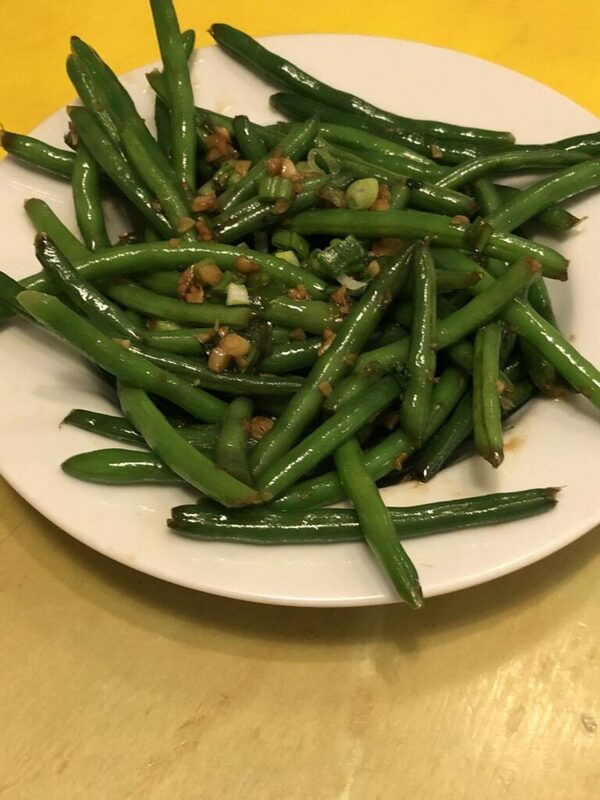 Add the drained green beans, Sriracha, soy sauce, oyster sauce and sugar and stir-fry for 1 more minute, then add the green onions and stir-fry for 30 more seconds. 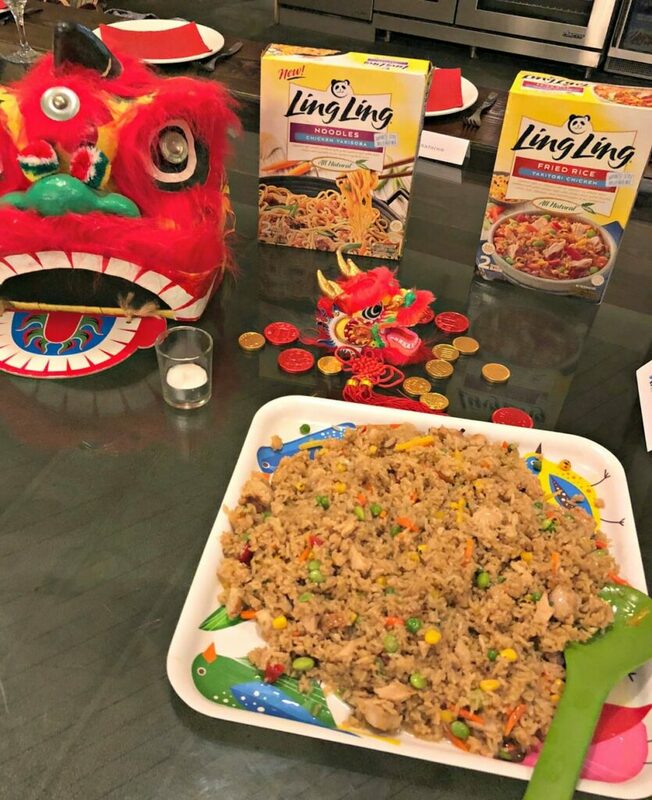 Find out where to find Ling Ling products in your area and be sure to follow them on Facebook and Twitter. I’m inviting a few lucky friends over for dinner to celebrate Chinese New Year. I’ll be serving my favorite Ling Ling dishes along with a side dish or two from Chef Katie. 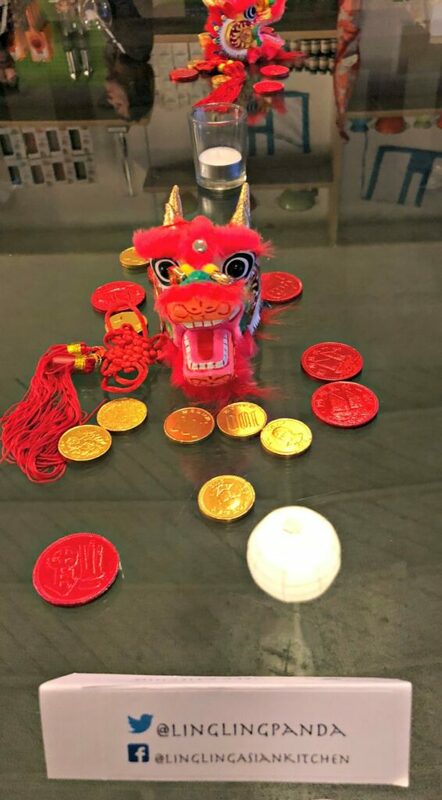 It will be fun to decorate the table with chocolate coins, oranges and tangerines and maybe even a red envelope or two! I will have to remember not to sweep or wash my hair! 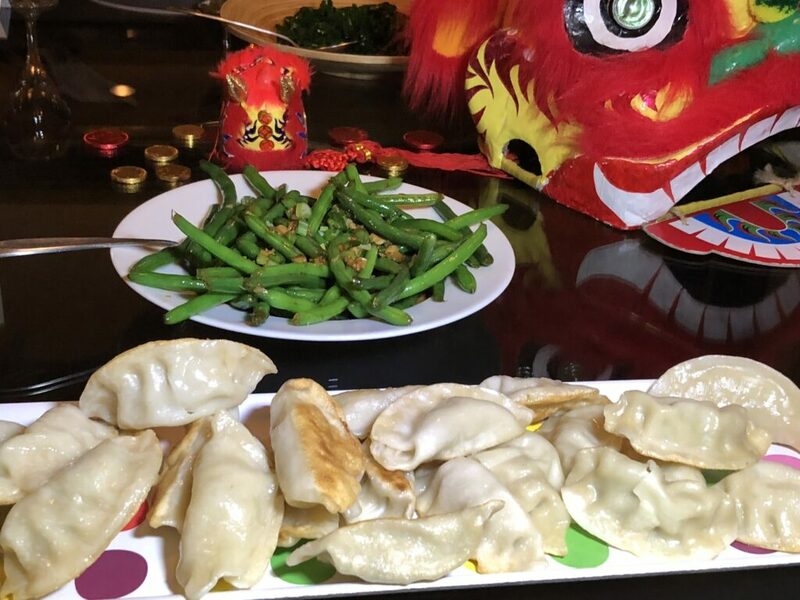 How will you celebrate Chinese New Year? We order Chinese food every Friday night so I will have to check out these meals and save myself some money. These meals and side dishes look delicious and easy enough for even me to make without messing them up. Can’t wait to try them.